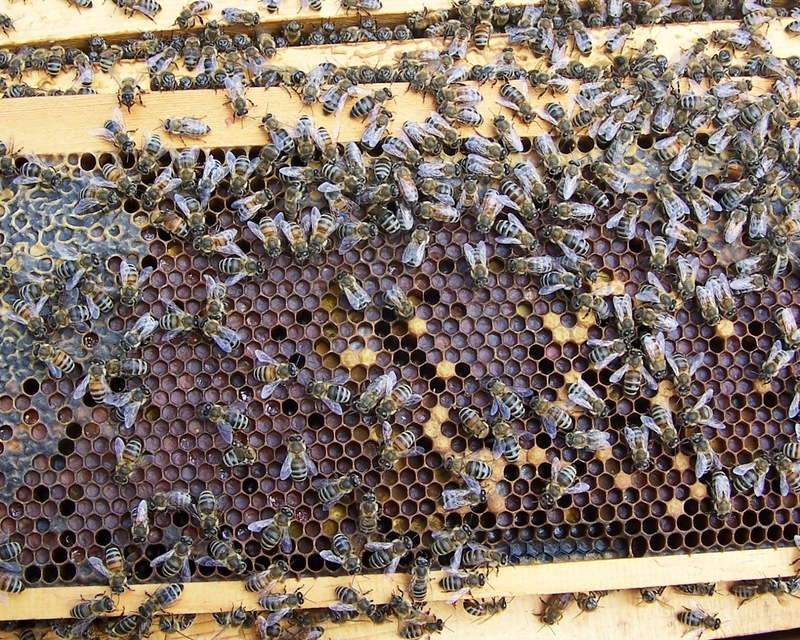 One of the intriguing aspects of beekeeping is the complexity of the honey bee nest. Beekeepers spend their first year observing the way bees build their nest by secreting beeswax and constructing honeycombs. 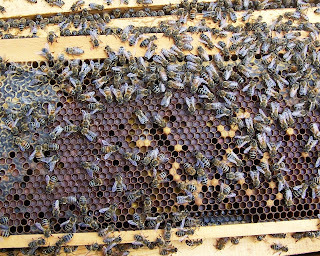 The combs contain the three stages of developing brood and pollen and honey for food. The pollen is of different colors. 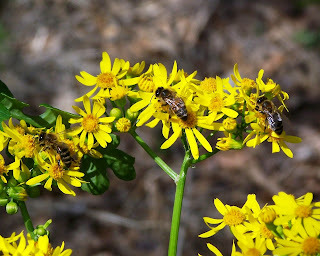 Some is wet and darker in color; this is bee bread, food for brood made of pollen mixed with honey. 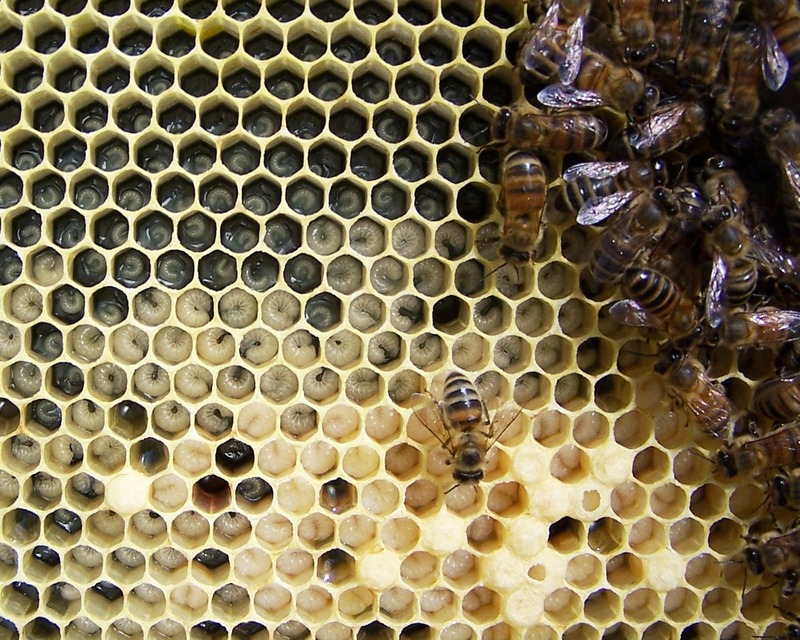 Honey is stored in open cells or cells capped with beeswax. Beeswax cappings vary in color from white to brown. The surface of the cappings may be textured to resemble hieroglyphic writings. 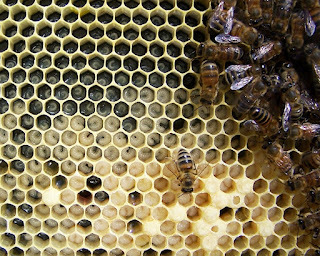 Capped brood is similar in appearance to capped honey, but the texture is somewhat gritty. Drone brood cells are dome-shaped; some call them “bullets.” Queen cells hang vertically and resemble peanuts in shape and texture. Queen cell cups are empty bowls facing downward. After a while one feels that he has seen everything in a bee hive. I was surprised to find frames unlike any I had seen before. They contained cells of sunken, brick-red cappings. When I opened the capped cells, I found that they contained pollen. Pollen is not normally encapsulated in the cells. This condition was first reported by researchers looking for causes of honey bee Colony Collapse Disorder, CCD. The researchers found that bees “entombed” chemically contaminated pollen. 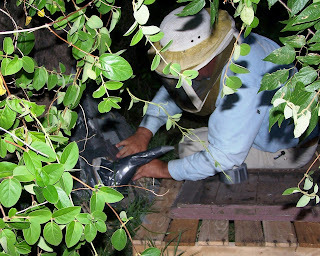 See http://ento.psu.edu/pollinators/publications/Entombed. The most frequently detected contaminants were the miticides coumaphos and fluvalinate and the fungicide chlorothalonil. Combinations of certain pesticides are quite toxic to honey bees. 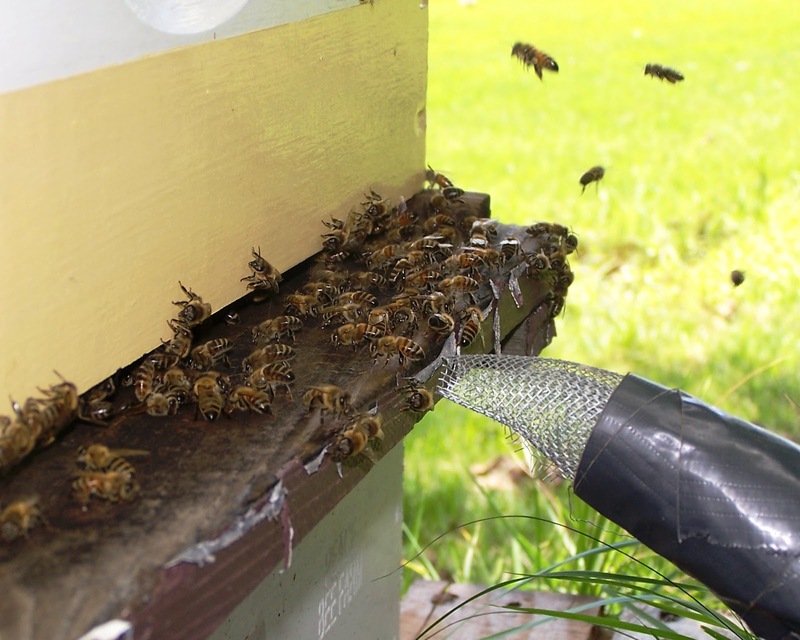 The miticides fluvalinate becomes 1000 times more toxic to honey bees exposed to fungicides commonly used to treat cropland, orchards, and home gardens. 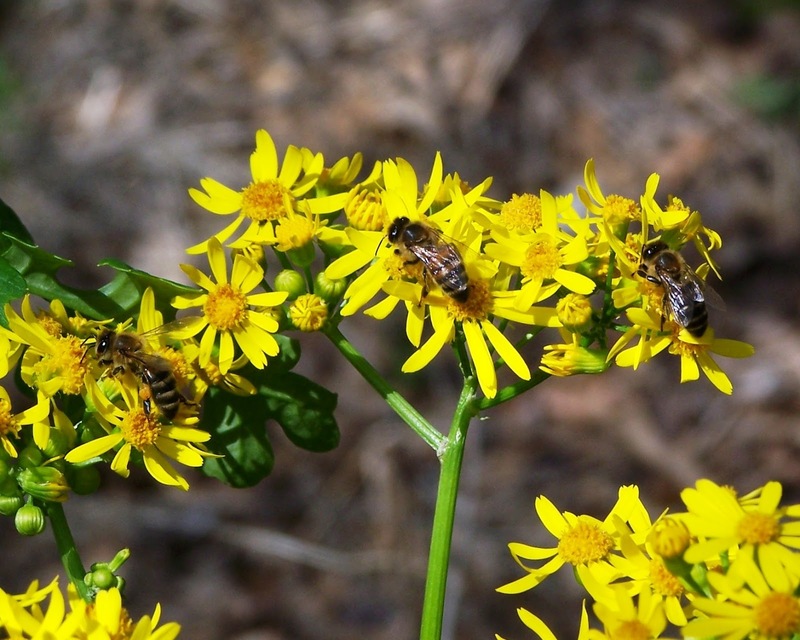 Studies conducted with hives having entombed pollen found higher rates of mortality. This research did not associate entombed pollen with CCD. Finding frames of entombed pollen in my Peace Bee Farm hives that are not chemically treated indicates that contaminants are brought into the hive by the bees. Today’s photo: entombed pollen.